with | Inside the mind of lulupants! Ok so for the month of February I’m trying something new for my blog. I like to call this two words. 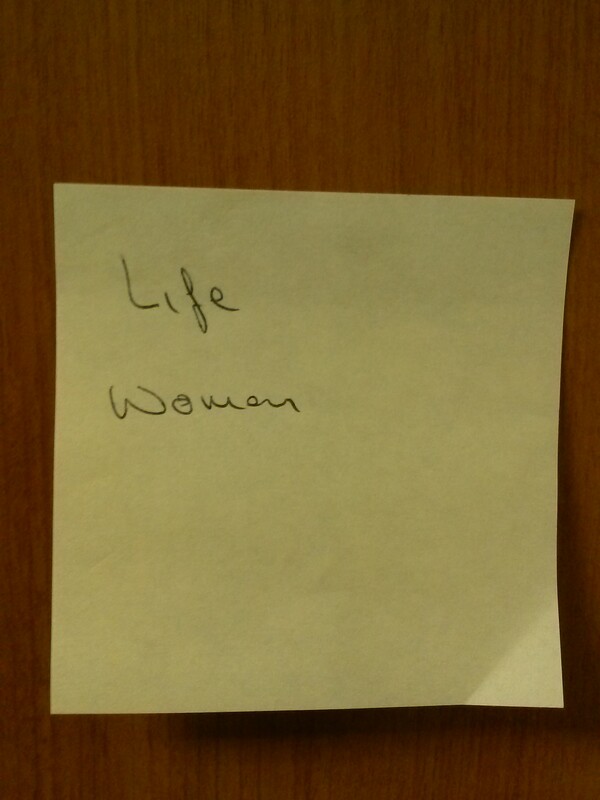 So each day I’m going to have a person, any person write two words on a sticky and I will write about it. Now the words don’t necessarily have to match or compliment each other just two random words. Life and Women are two words that pretty much come hand in hand. We bring life into this world. You can’t completely live with us (small doses are recommended) and can’t sure as hell live without us, think about how boring life would be without us!! Women are very difficult creatures, plain and simple. We don’t come with a manual and if we did we’d probably go against it just because. In one way or another women rule the world. We are the ones that make this world go round. Some of you might not see this way but yes we certainly are. Think about it who brought you into this world? Who Keeps your life together? Now let me tell you a little bit about the special women in my life that keep my life together, the women that I’d be lost without. My Mother: She is a single mother who always worked hard to give me what I need. My dad left when I was 7 and she always made sure that I had everything I needed. She works hard and for many years she worked two jobs to make end meet. She is stubborn as hell and set in her ways. Doesn’t know how to pick her battles. My grandmother: The most noble person you will ever meet. She raised her kids, grand kids, great grand kids and even children that were not even hers. She is 82 and still going strong. She went through so many things in her life and never let those things obscure her judgement or dignity. She will tell you how it is, isn’t ever scared to voice her opinion and know when to back away. My Aunt: She is always there to help. She may have a million and two things to do but the minute you call her and say you need something she will drop everything and rescue you. She loving and caring. She voices her opinion but sugar coats it at the same time. Now lets hear about the spacial woman in your life…it’ll be fun to even hear about the crazy ones…..LETS HEAR IT!!! !